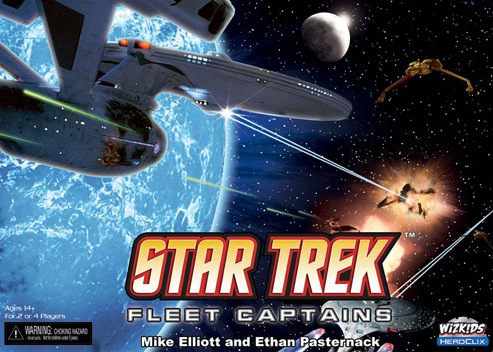 I wrote a review of Star Trek: Fleet Captains. This article about designer-publisher relations is spot on. I don't know if the author and I are speaking about the same company, but while many publishers have rejected my games, there is one who did so in such an unprofessional manner (including some behavior described in the article). Under no circumstances whatsoever would I ever consider submitting to or working with that company again. One might respond, "You have no right to expect anything from them." However, if I go through the proper steps in submitting to a publisher who agrees to look at my game, I expect at least an acknowledgment email after that publisher has sat on my prototype for six months. Visible Hand Games needs to hire a web designer. I need a simple CSS site design suitable for showcasing a small number (currently four) of game designs. Please contact mkeller@visiblehandgames.com (Subject: VHG Website) if you are interested. Why do I need a web designer? Because I'm getting ready to launch a Kickstarter project for either Municipality or a game I have not yet discussed. I'll know which one by the end of the month, so I need to create the supporting infrastructure now. Thank you, Andy, for the vote of confidence. The publisher who was kinda-sorta considering Municipality has decided to pass, so it does look like Municipality is the one.